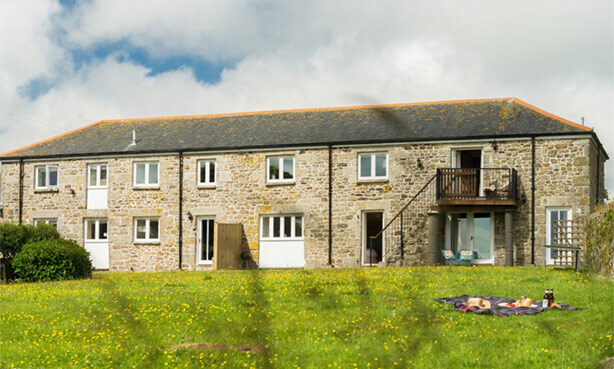 Whether seeking beaches, coves, countryside or Cornish culture, these former barns are the perfect base from which to discover Cornwall’s north and south coasts and everything in between and only 10 minutes drive from Burncoose House. The villages of Stithians and Lanner are also both only two miles away. Situated next door to Burnfoot, Gilly Barn also enjoys an elevated position with kitchen and dining-room on the first floor with steps down to a cosy sitting room. There are three spacious bedrooms and bathroom on the ground floor. Beautifully presented with a cobbled terrace, large shared enclosed garden and further outside space to the side of the cottage. With wonderful far reaching countryside views, Burnfoot enjoys a secluded, elevated position with the kitchen and sitting/dining-room upstairs and the bathroom and three spacious bedrooms on the ground floor, two of which have doors directly onto the garden terrace. There is also a private garden at the front of the barn. 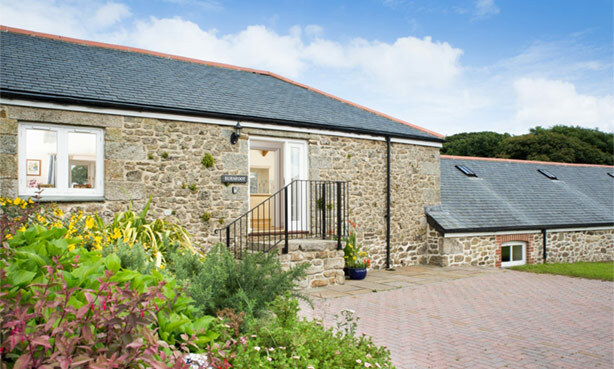 ‘Lovely spacious cottage, very well equipped, very handy having 3 showers. Great rural views and very peaceful. Great base to explore Cornwall’.